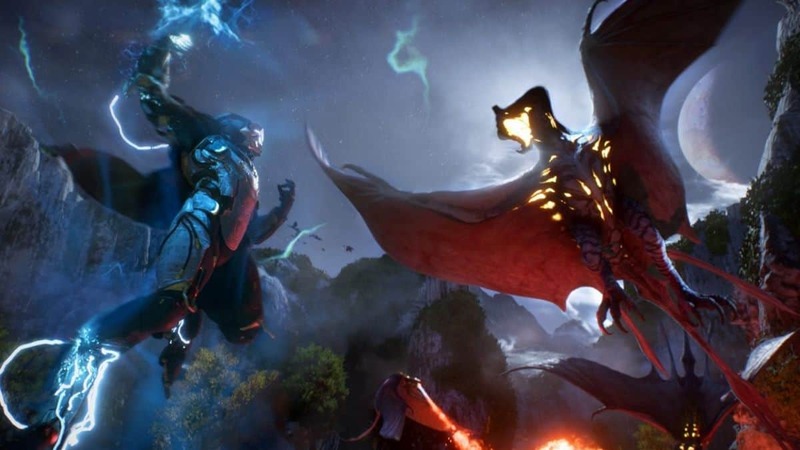 For those still sitting on the fence, BioWare has begun revving its engines to convince naysayers about why they should pay close attention to the Anthem of creation. During a panel at PAX West earlier this week, the developer released a new gameplay trailer to touch upon how personal narratives and dynamic elements will combine to create a unique world for players to explore. The recent footage reveals more about the storyline, shining a light on life inside and outside of the walls. 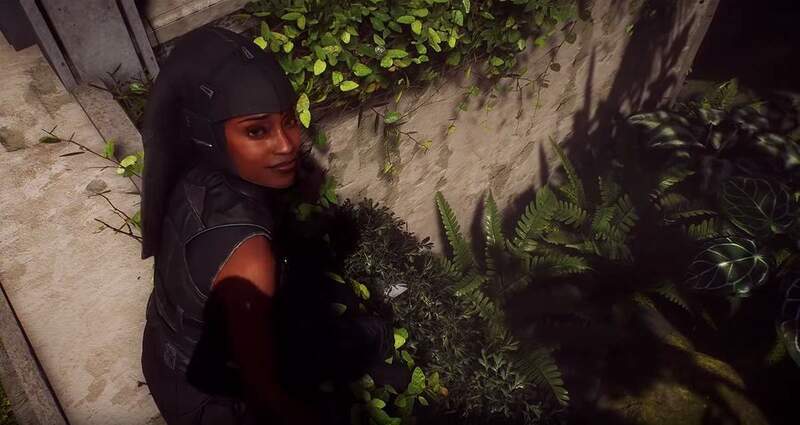 In addition, several non-playable characters and looming threats, all of whom have been showcased previously, return as well to provide better context about their respective roles. The mechanical suits called Javelins are obviously the center of attention once again but there is more to familiarize with here than just the different classes and combat mechanics. Here are six important things to learn from the new gameplay trailer. 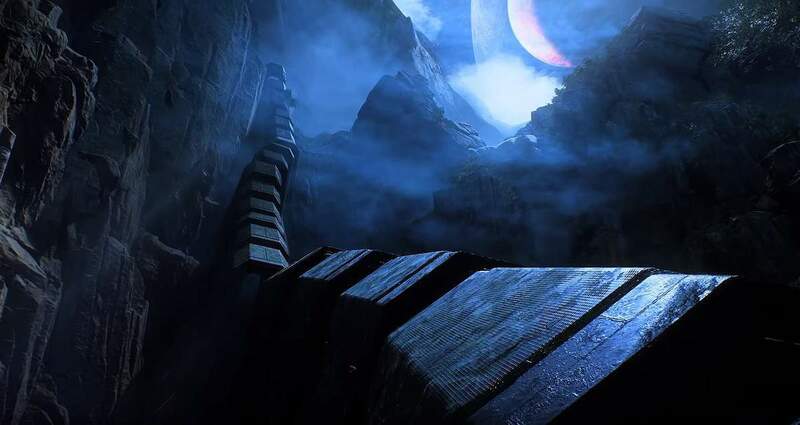 The enclosed human settlement within the megastructure known as “the Wall” will serve as the primary narrative hub in Anthem. Everything from receiving missions to dealing with merchants, from choosing Javelins to understanding governance will all take place within this bastion. 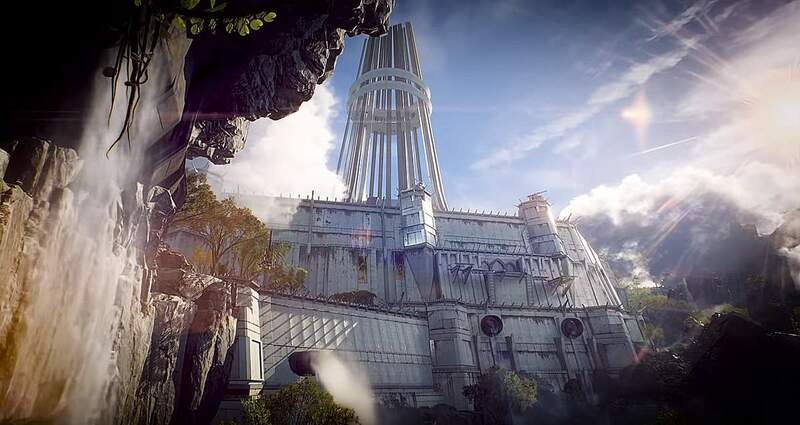 Fort Tarsis will not be completely available for access at the beginning. There will be several districts that will require significant progression before opening up their doors for exploration. It is important to understand that Fort Tarsis will effectively be single-player only, meaning that players will only encounter other players when setting foot outside of the massive walls. It is also suggested that there are possibly other similar human settlements in the outside world. 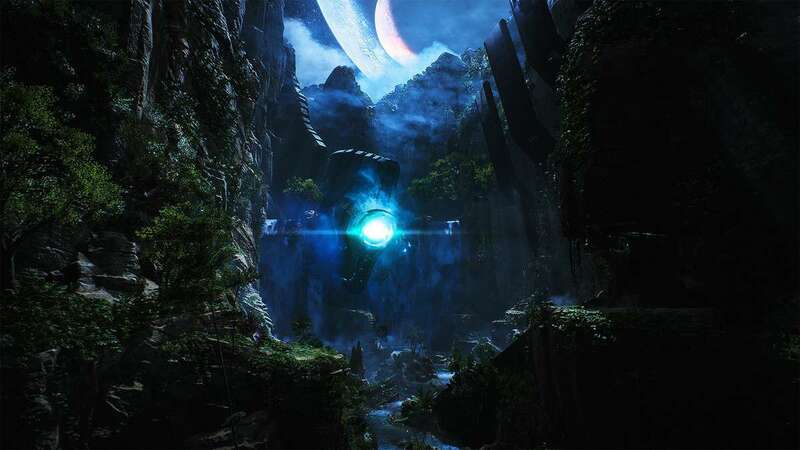 The creators of the world are known as “Shapers” in Anthem. They suddenly vanished while endeavoring to complete their work, leaving behind massive instruments that litter the landscape in the present day. They appear to be more structures than building tools and are called “Shaper Relics” by the locals. Despite being abandoned eons ago, they are not dormant by any means. They often activate randomly for destructive consequences and are the reason behind the largely inhospitable world outside of the walls. When relics do go haywire, such as causing a “Shaper Storm” in a specific quadrant, it will create a large-scale world event by marking the location for everyone on the map. In other words, players will be able to join forces with other players to take part in such dynamic experiences in the outside world. It is also suggested that world events may possibly change the terrain in larger capacities. 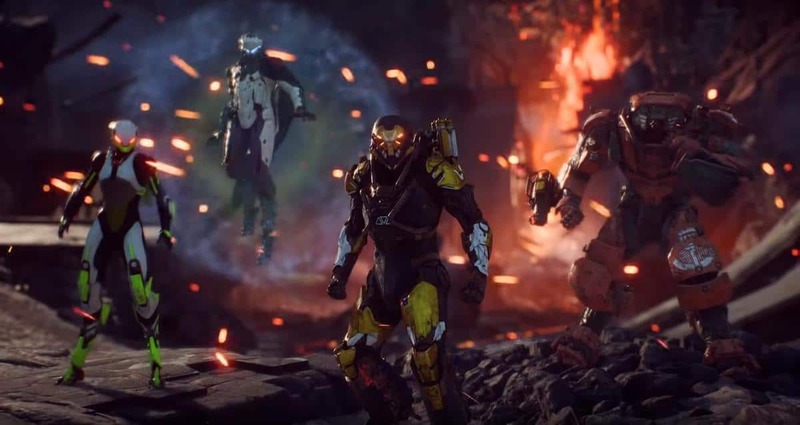 There are going to be four classes to choose from in Anthem, unless additional variants arrive through post-release content, where each Javelin specializes in different combat roles. This is the first time that the Interceptor has been shown in action, boasting a sleeker and smaller frame for unmatched agility and evasion. The class is an excellent choice for supporting purposes, excelling at getting in close to weaken enemies before dashing away to safety. Unlike the other variants, the Interceptor appears to have only a single weapon slot. However, this gameplay element will have to be confirmed by the developer before being subject to discussion. In addition to slapping on new and improved hardware, players will be able to choose between different color palettes to give their Javelins a personal touch. The developer is yet to fully detail the customization aspects but it appears that every suit will be majorly divided into two zones: the abdomen and the limbs. In the case of the Ranger, the abdomen will serve as one color while the armor pieces worn on the limbs will serve as the other. Take note that each limb can be customized separately and not all will require a single setting. It also appears that the coloring schemes will slightly differ with each class. For example, the Colossus has a larger abdomen and the Interceptor has armor pieces on the abdomen. This will undoubtedly help in pointing out each class on the battlefield. 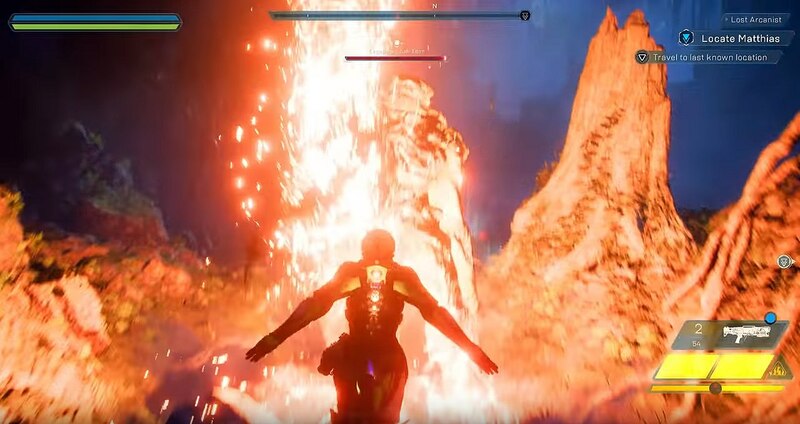 If it was not already evident, flying will be an important gameplay element in Anthem. The mechanical suits are equipped to launch off the ground at any point, whether during combat or exploration, to either hover or soar ahead. However, the period of flight will be brief and highly dependent on the class. What pilots need to be aware of is that their Javelins will overheat after extensive usage. In order to cool down their boosters, they must either nosedive or fly through a waterfall. In fact, the latter will actually allow Javelins to fly much higher than normal as long as they are piloting through the waters. 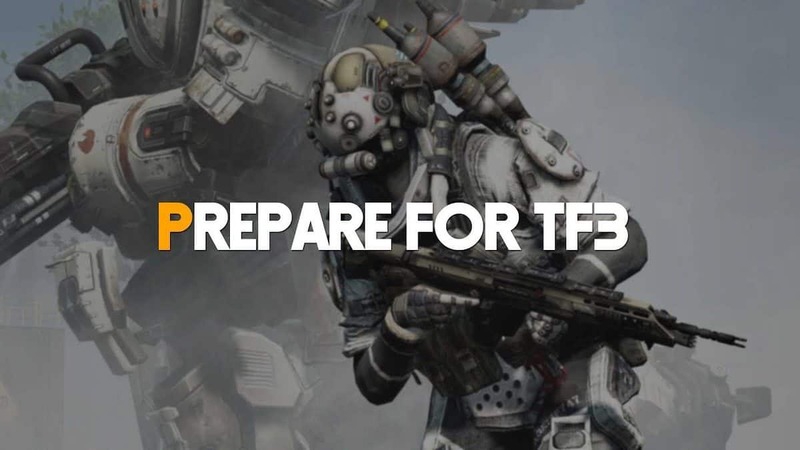 Do take note that the glorious leap from the edge of Fort Tarsis, which has been showcased multiple times already, will actually be in real time. There are certain individuals in the world of Anthem who have developed telepathic abilities after coming in contact with Shaper technology. They are called Cyphers and their main job is to provide support to pilots in the field by feeding information, solving runic puzzles, and establishing lore. Faye and Owen have been so far revealed to be the two main Cyphers in this storyline but there could be others outside of the walls. Their direct link with Javelins will prove critical in every mission. Did you notice anything else of interest in the gameplay trailer? Leave a comment below to let us know. 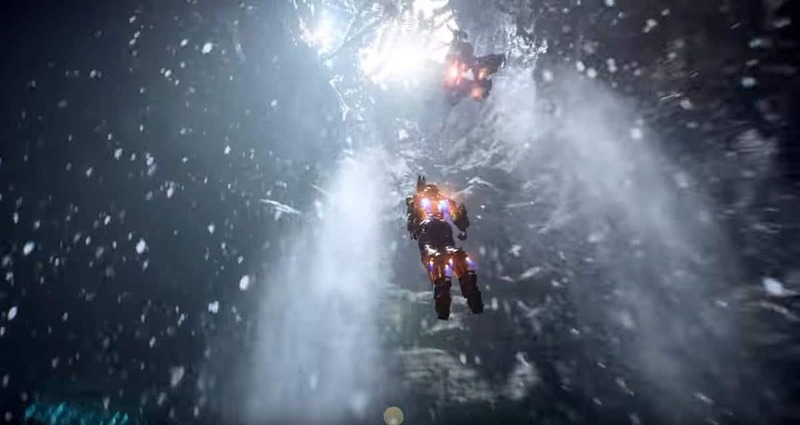 Anthem is scheduled to release worldwide for PlayStation 4, Xbox One, and PC on February 22, 2019. There are a lot of hopes riding on the Destiny-esque role-playing shooter, more so for BioWare than fans.